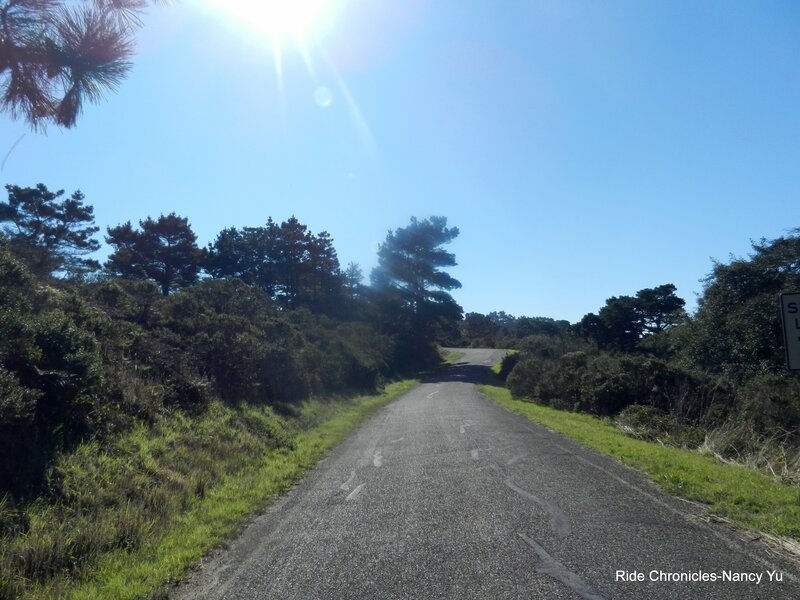 For today’s ride, Michael and I are heading out towards Inverness and Point Reyes National Seashore for a jaunt along Inverness Ridge on Mt Vision Rd. 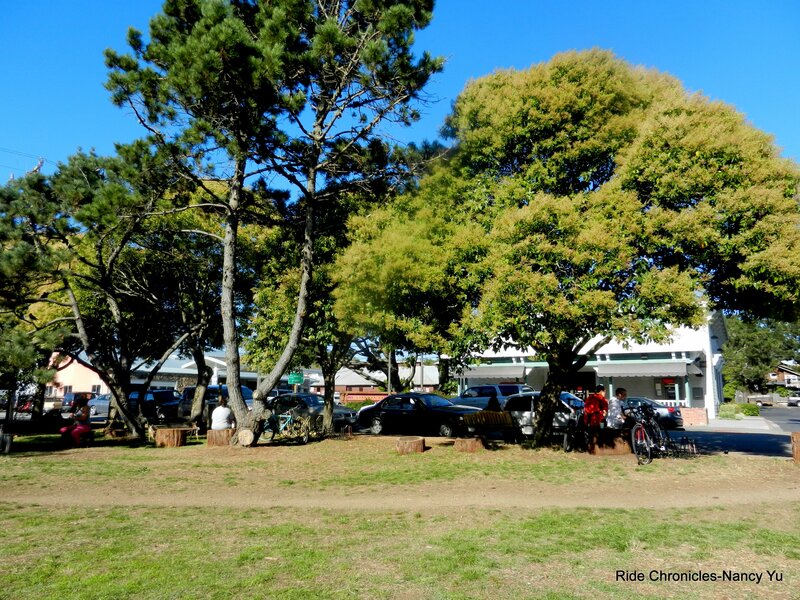 The starting point is at the Marinwoods Community Center located on Miller Creek Rd in San Rafael. 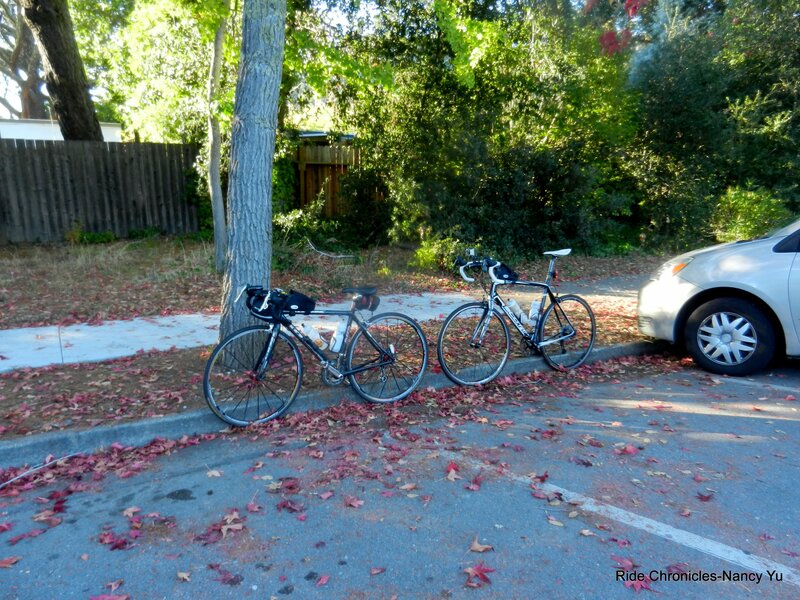 There is ample street parking with no time limitations. Water and restrooms are available at the community park. 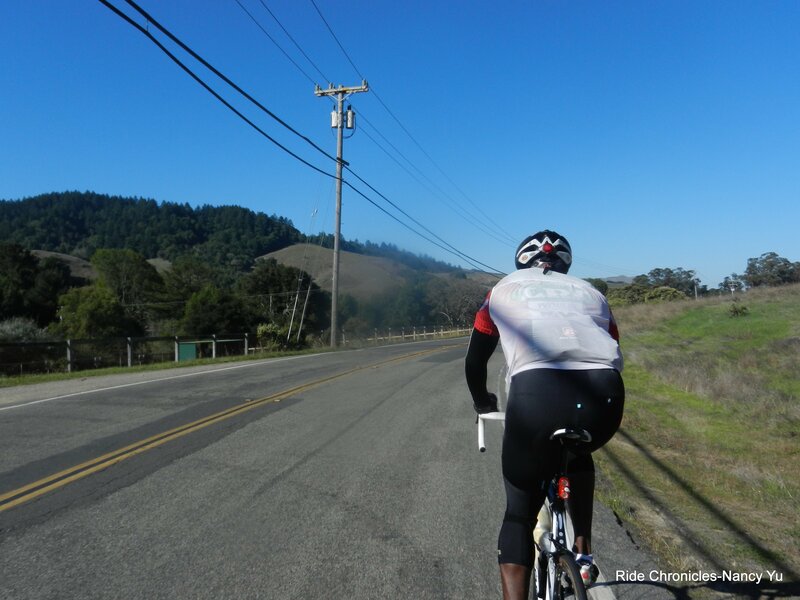 The first few flat miles heading west on Lucas Valley Rd is a good warm up to the climb up to Big Rock. The mile climb has an average grade of about 6.5% with sections that hit 8-9%. 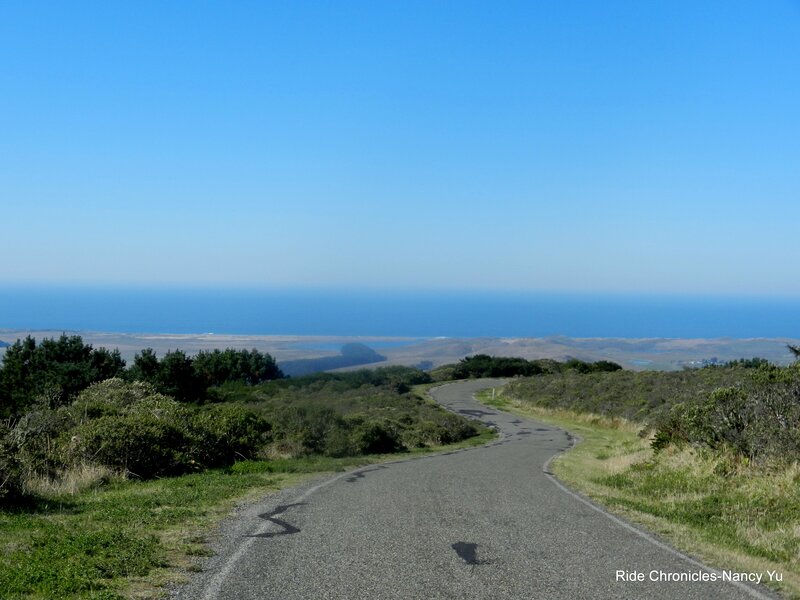 The last few turns along the guardrails takes you to the top. 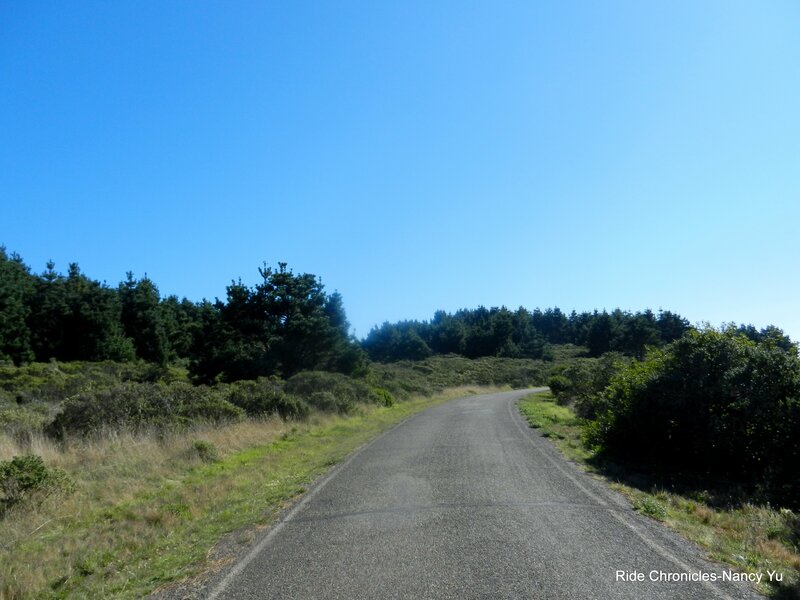 The 5 mile descent on Lucas Valley is really fun; the sweeping turns and small rollers takes you through a redwood forest and onto Nicasio Valley Rd. 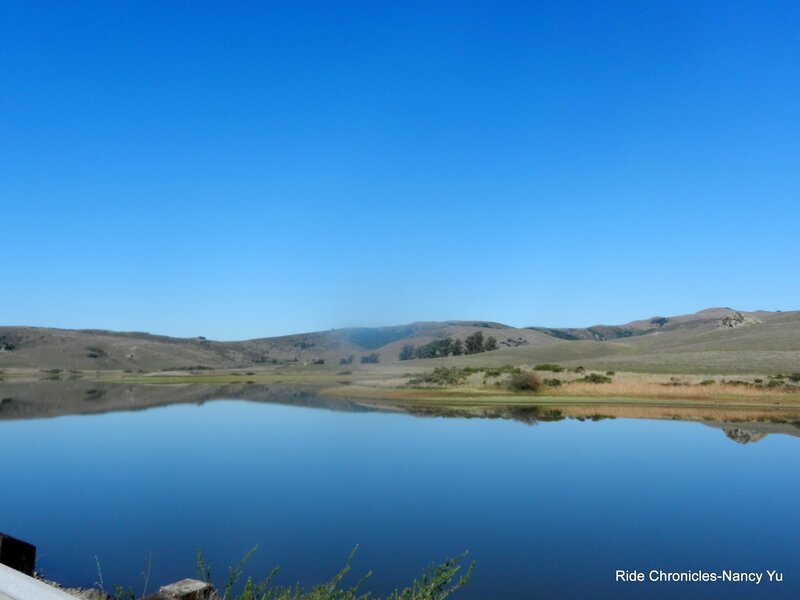 We continue on Nicasio Valley Rd, ride pass the reservoir and head west on Pt Reyes-Petaluma Rd for the next 3 flat miles. 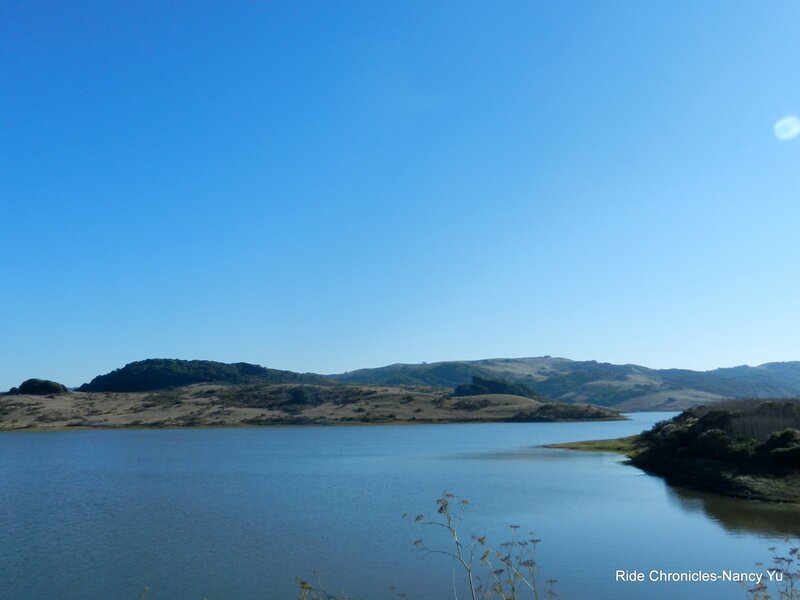 The views of the reservoir and the surrounding hills are fabulous! The slight downhill takes us to the intersection at the colored bridge. We go straight to continue on Platform Bridge Rd. It’s a quiet 2+ mile stretch of road with minimal traffic and smooth pavement. 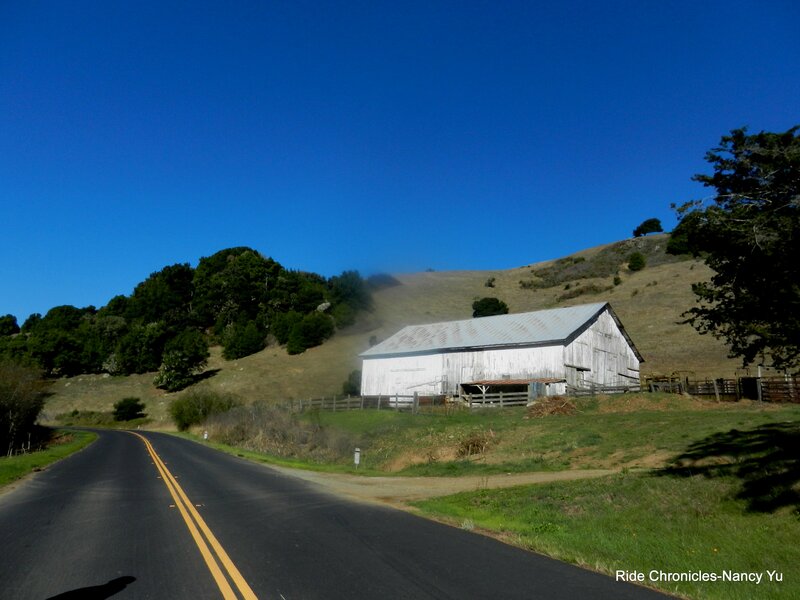 The old barn stands out prominently next to the old ranch house. 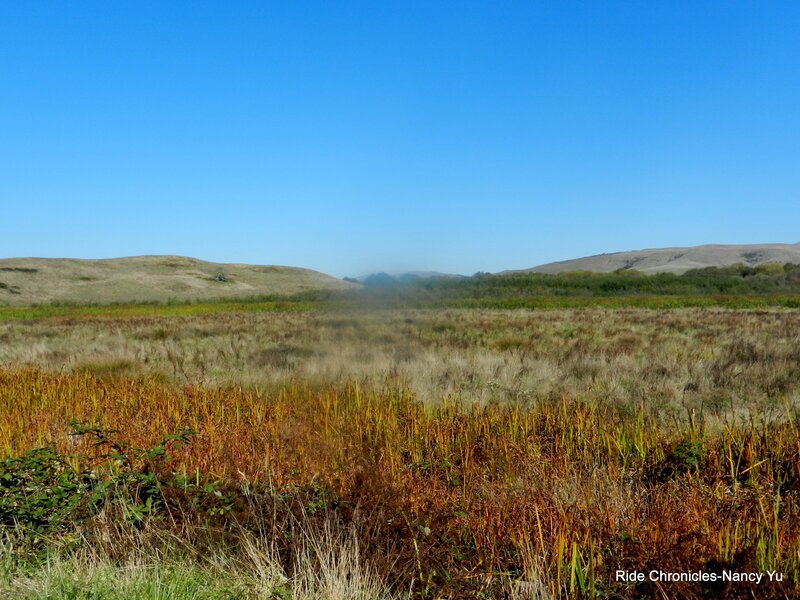 You can see grazing horses and cattle back here. 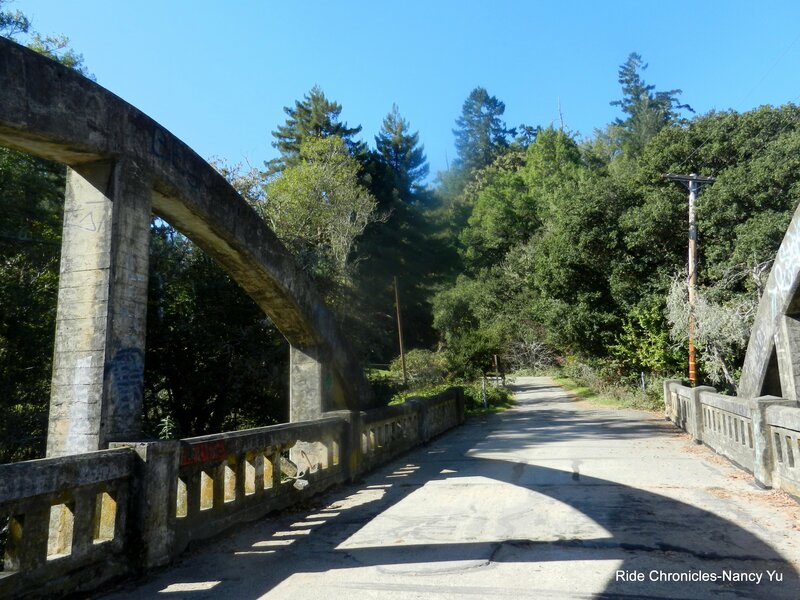 Before reaching Sir Francis Drake Blvd, we take a slight detour and cross the old platform bridge which eventually leads us back out to the main road. 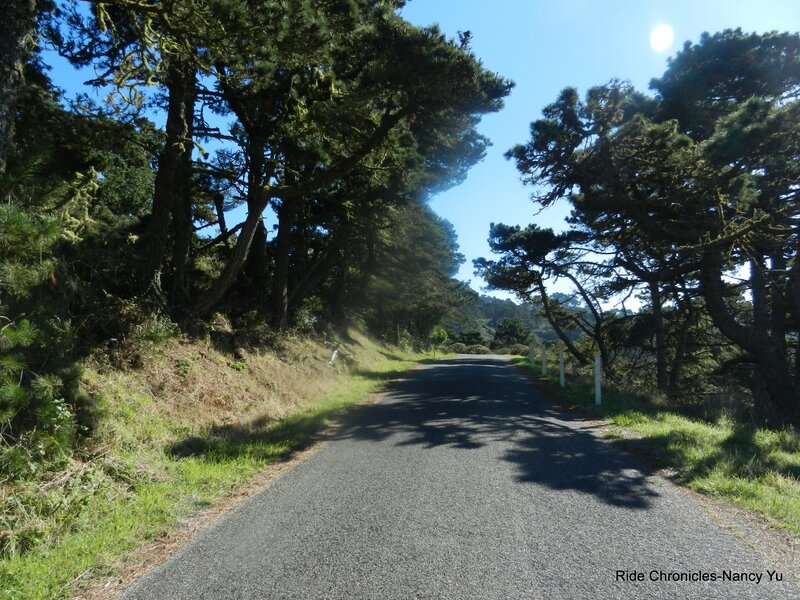 The climb up the backside of Olema Hill is less than a mile with an average grade of 5.6%. The gradient is a steady 7-8% as you near the top. 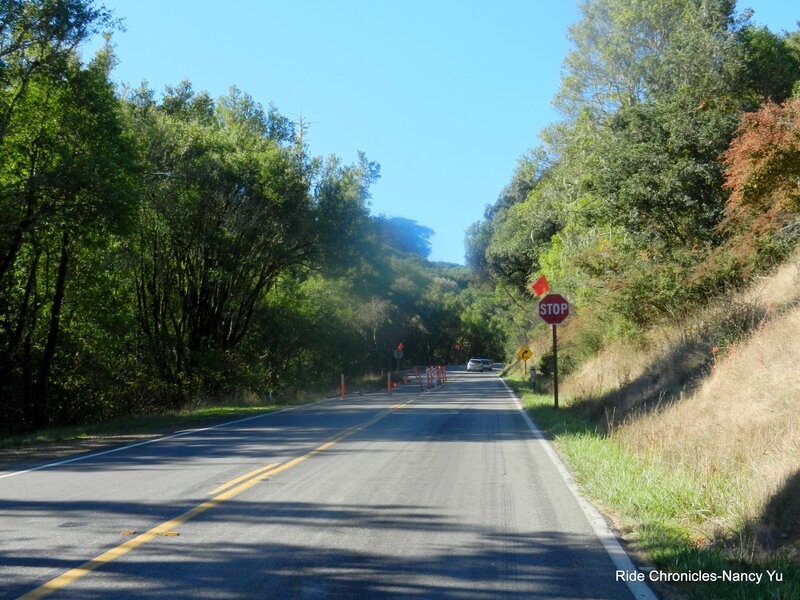 Please obey the stop sign; the road becomes a single-lane for a very short section. 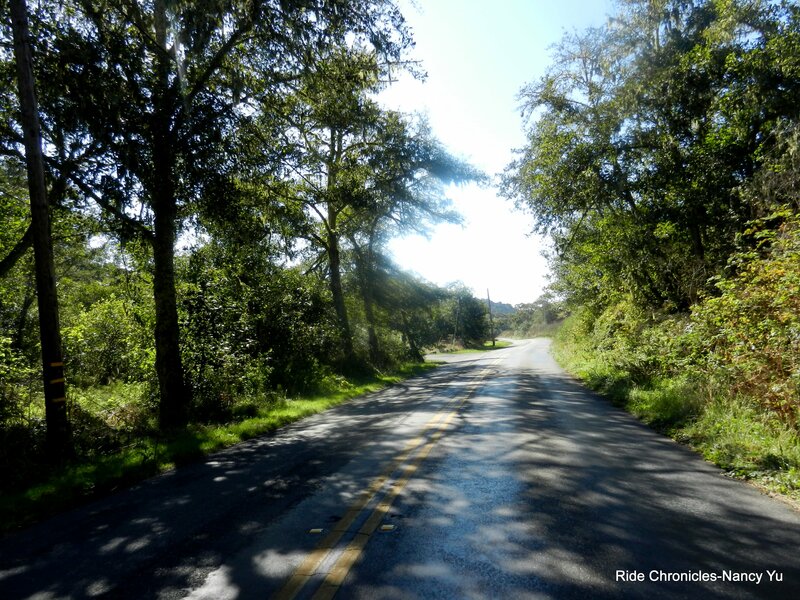 Share the road and watch for cars; traffic is heavier on the weekends. 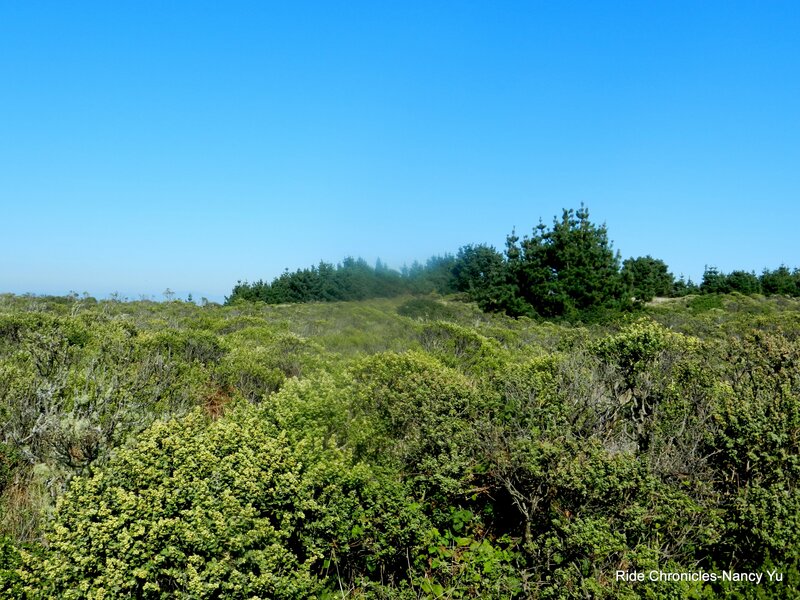 We descend to Olema and make a right turn onto Hwy 1 and then an immediate left onto Bear Valley Rd. 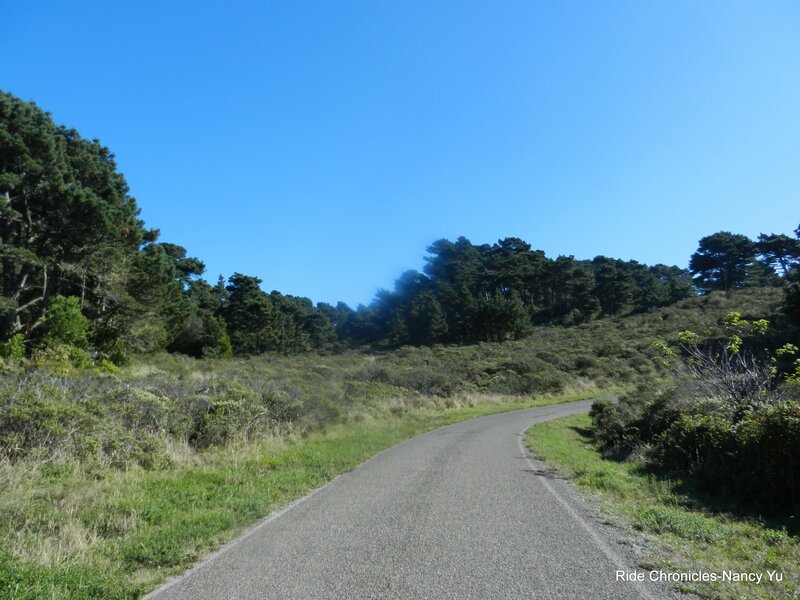 There is one short climb after you pass the Visitors Center and then it’s pretty much flat all the way to the intersection with Sir Francis Drake Blvd. 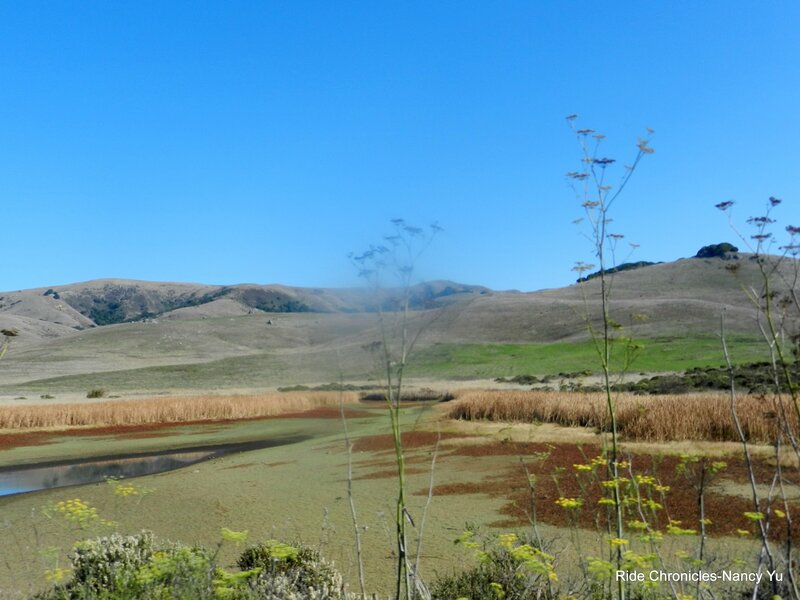 You do get some nice views of Olema Marsh; it’s also a popular spot for bird watching. 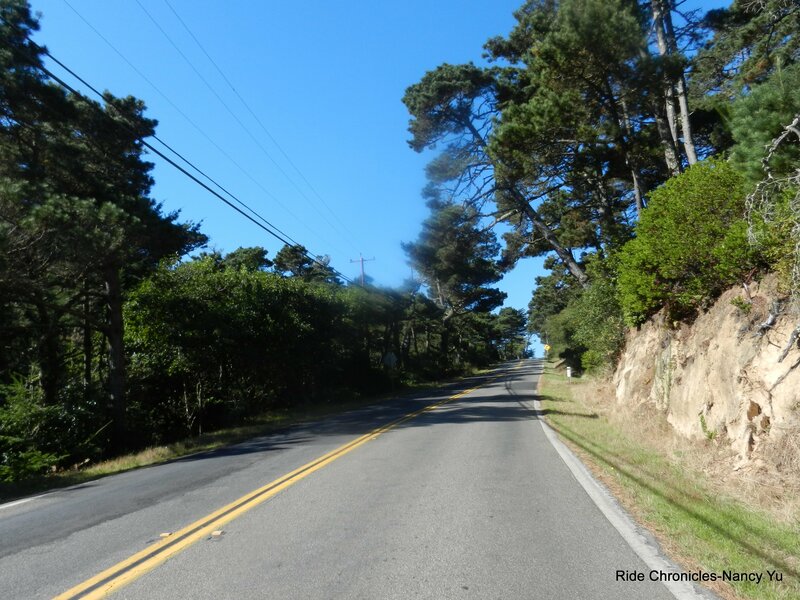 We continue straight on SIr Francis Drake Blvd (SFDB) to Inverness. The terrain here is slightly flat to rolling. 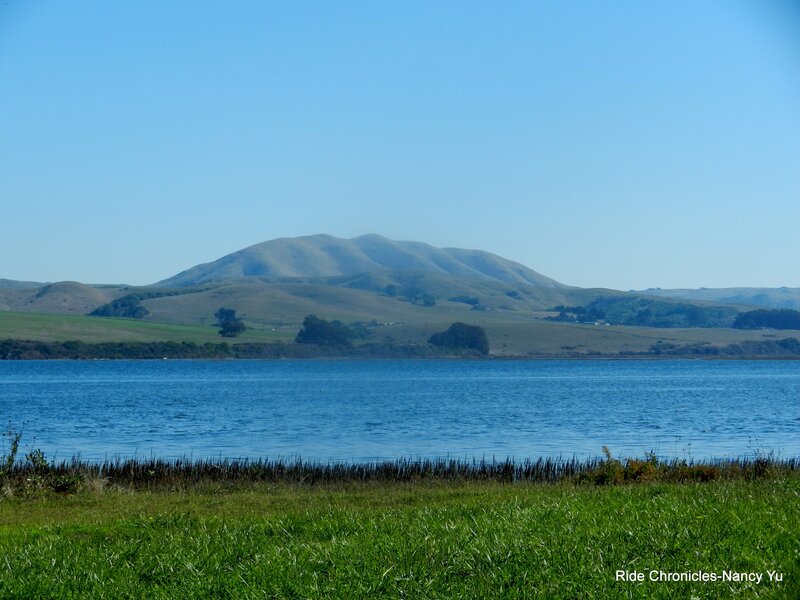 We make a pit stop at the Inverness Store; have a quick snack and take a few minutes to admire the fantastic views along Tomales Bay. It’s a gorgeous day to be outdoors! 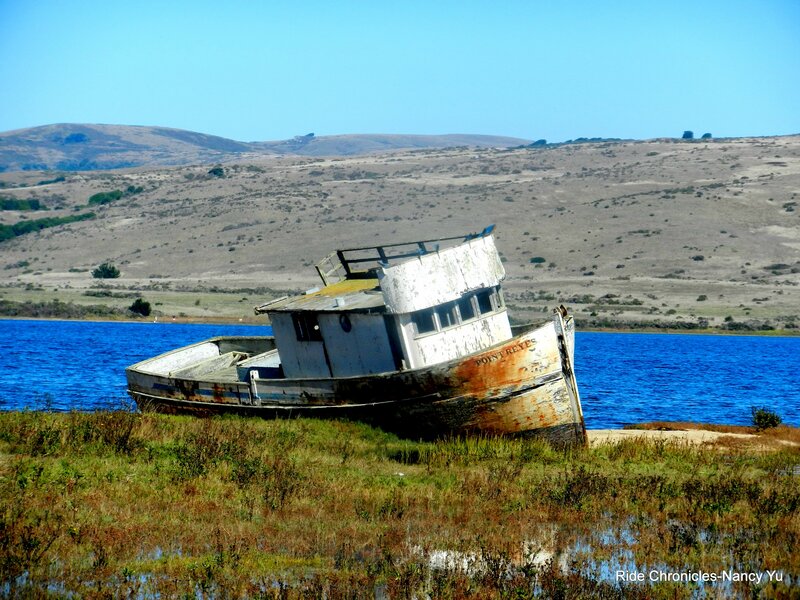 We stay on SFBD and head towards Pt Reyes National Seashore. 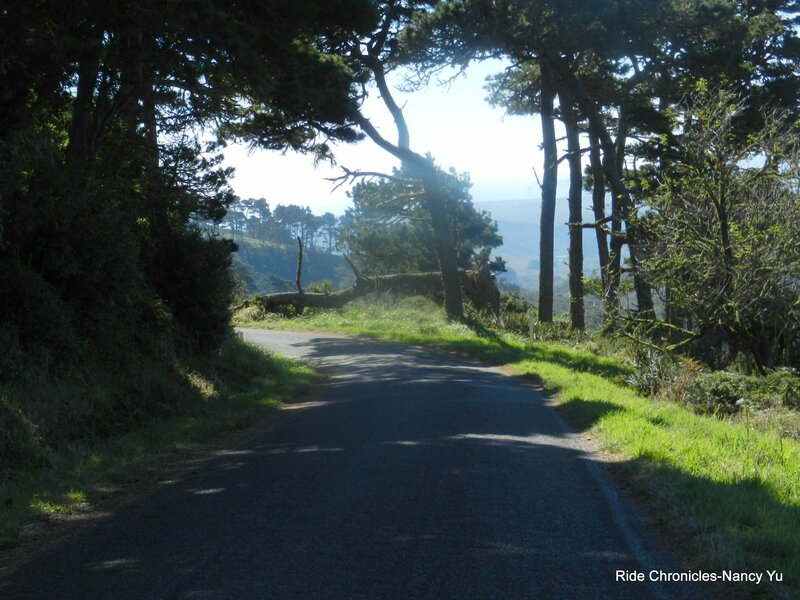 There is a short climb up Inverness Hill; it’s less than a mile with gradient ranges of 8-11% and maxes out at 13% near the top. At the Y intersection, keep left to stay on SFDB. Follow the road signs for “Lighthouse” until you see a sign for Mount Vision. It’s about a mile down the road; it’s very easy to miss if you’re not paying attention. Make the left turn onto Mt Vision Rd. 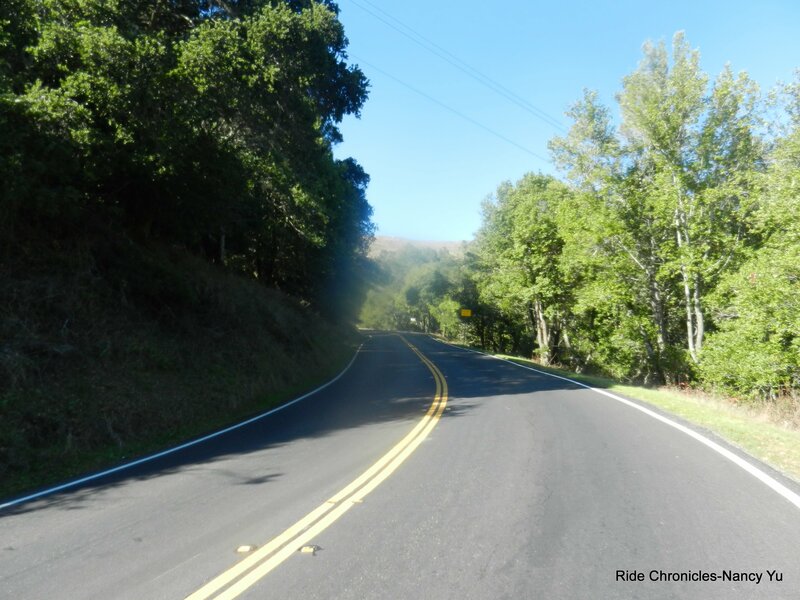 The moderate 3 mile climb up Mt Vision is a series of winding switchbacks on a narrow single lane road. The gradients range from 9-11% with sections that hit 13-14%! 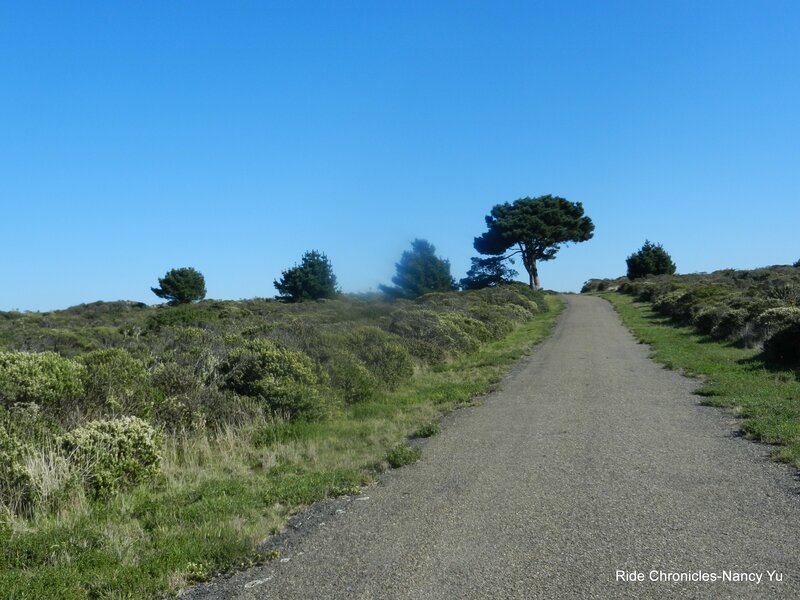 There are two very short descents in between the climb up. 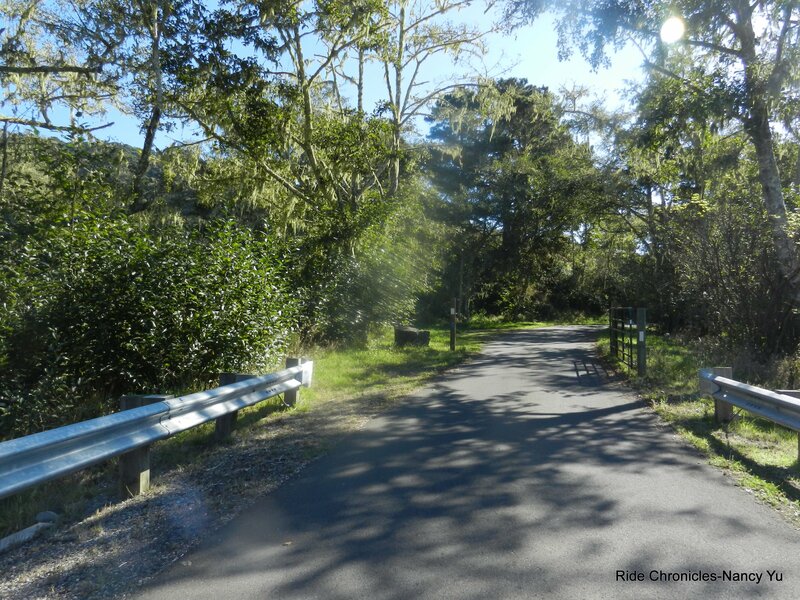 The road levels out a bit after you make your way through the amazing cypress forest and coastal scrubs. 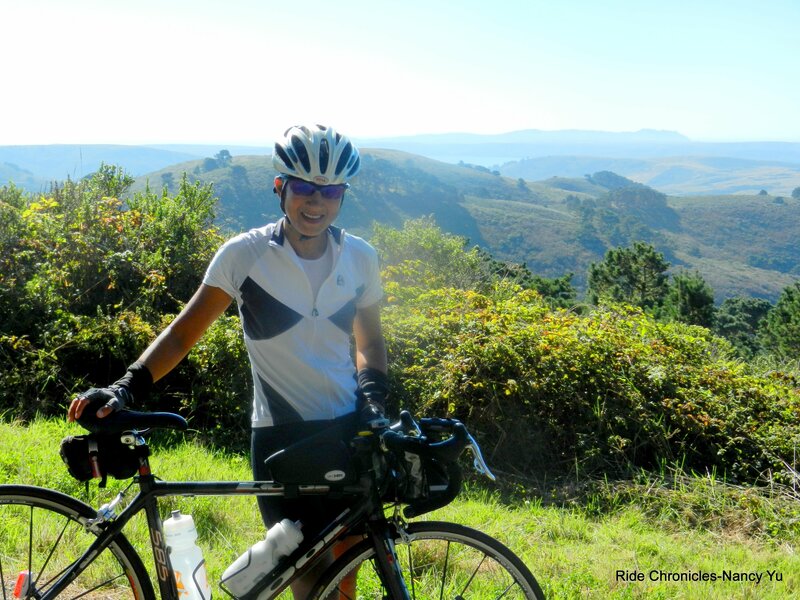 The scenery, views and surrounding landscape is a magnificent distraction to the climb. 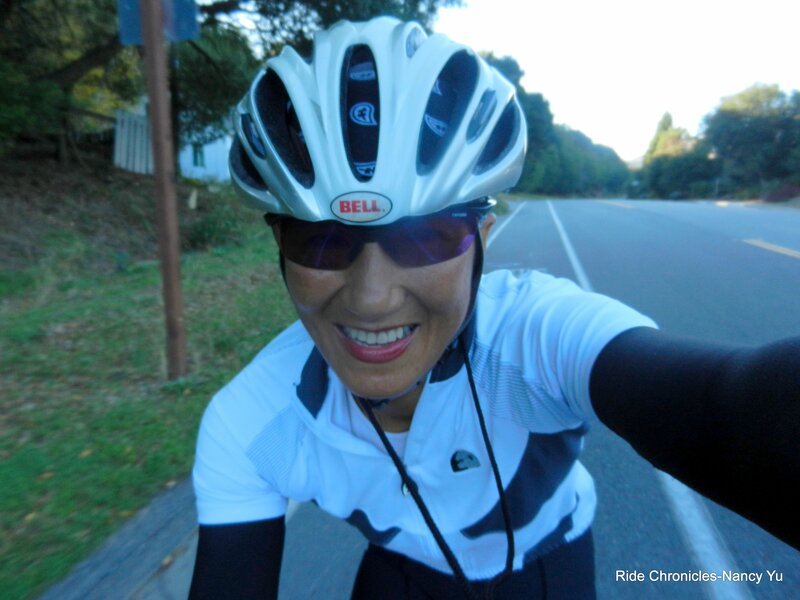 It’s pure joy to be able to ride on a quiet stretch of road with minimal to no traffic. 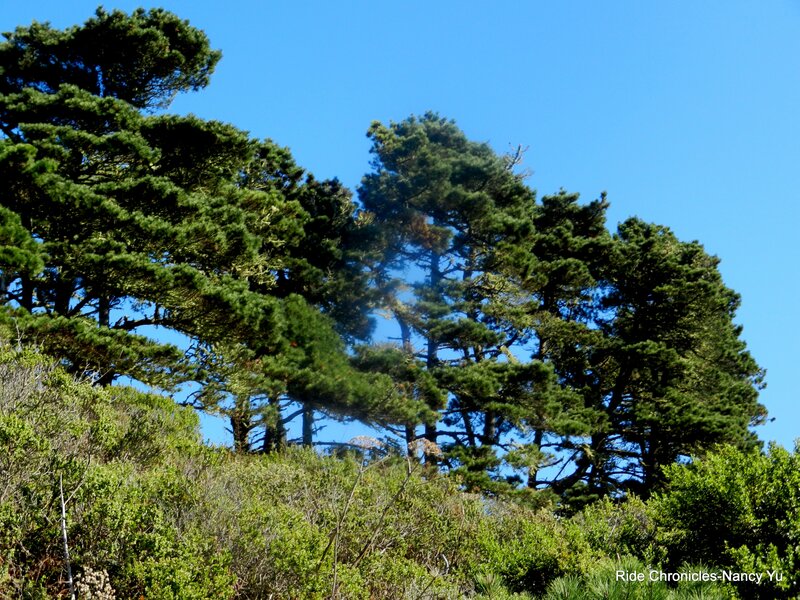 You’re going up along and across the northern tip of Inverness Ridge and it’s absolutely beautiful! 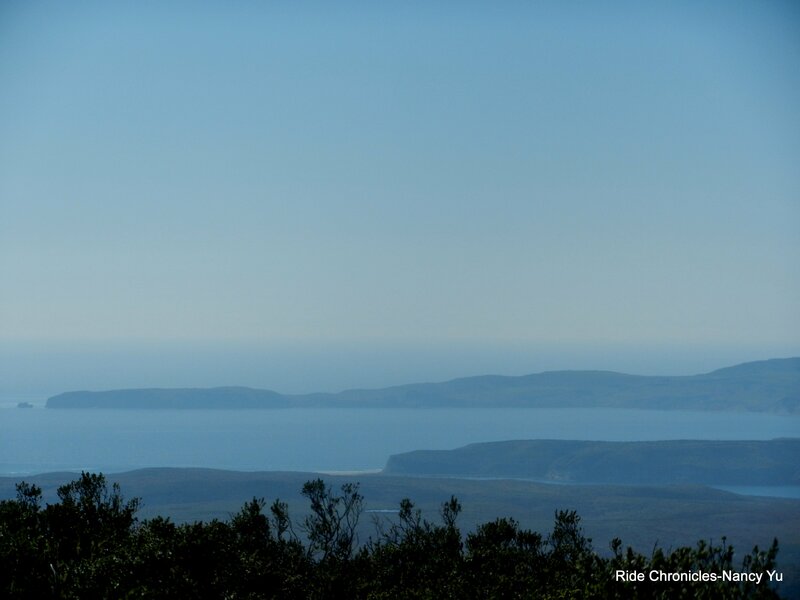 Dramatic vistas await you at every turn; you have spectacular views of pastoral hills and remote bays to the west. 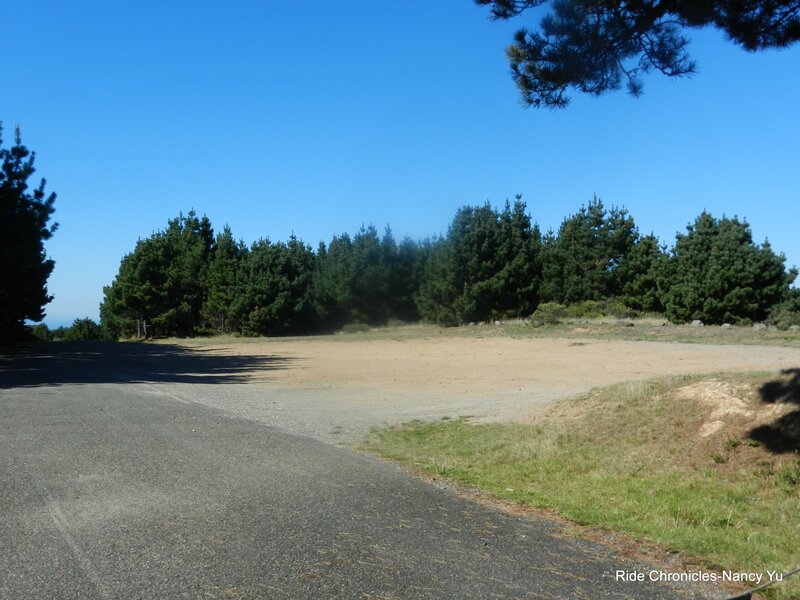 The accessible road ends at a large dirt trailhead parking area. No porta-pottie or water is available here. 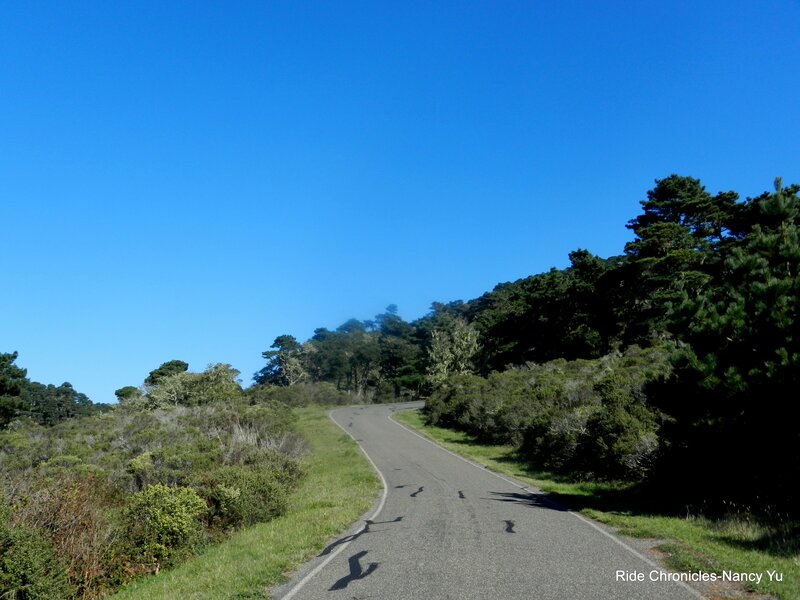 Mt Vision Rd continues for another mile beyond the closed gate; it’s a gentler climb past Mt Vision to the summit of Point Reyes Hill at 1336 feet. There is no thru traffic and it’s incredibly quiet and calm up here. 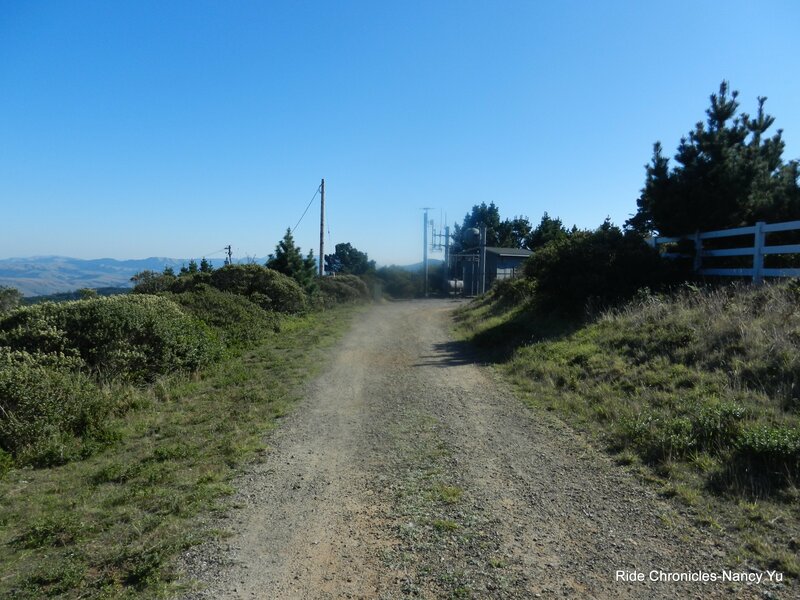 The road dead-ends at the radio tower and becomes a dirt trail for mountain bikers. 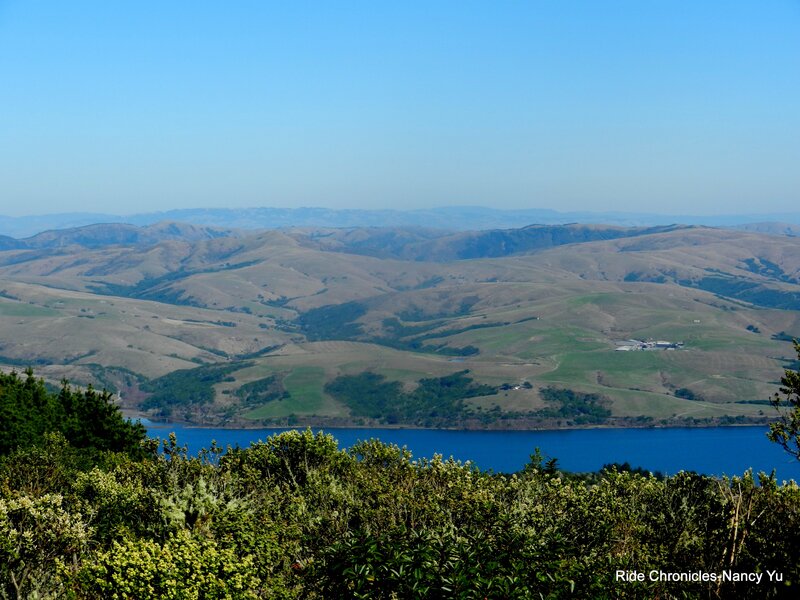 The views from Inverness Ridge are impressively breathtaking! 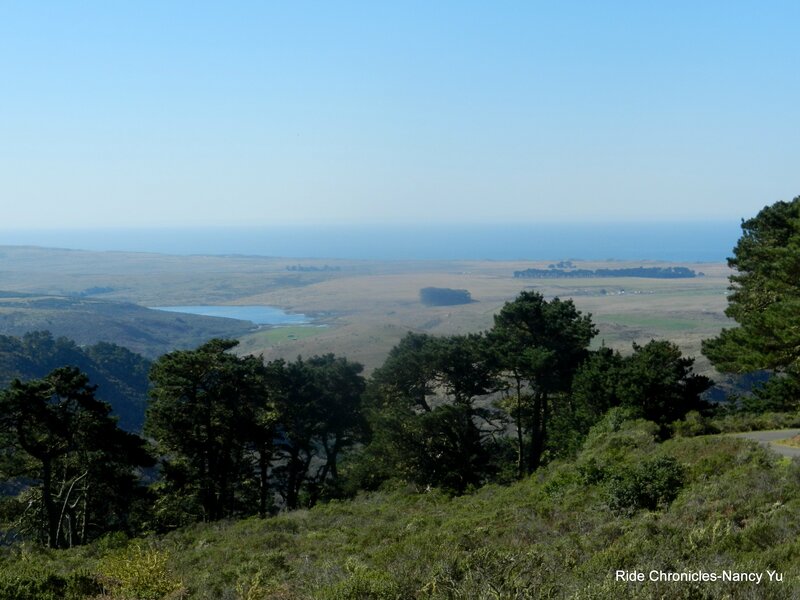 We get a bird’s eye view of Drakes Bay and the Point Reyes Headlands. I can see the point near the Lighthouse and the Farrallon Islands. WOW! 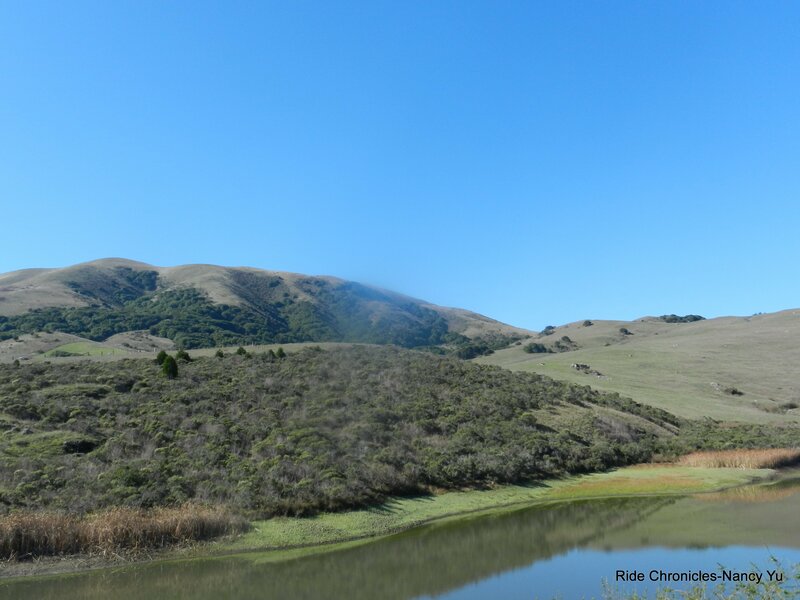 The other side of the ridge offers views of Tomales Bay, west Marin and to the south; Mt Tam! WOW! It’s all stunningly beautiful-these moments are filling up my bank of HAPPINESS and I’m filthy rich right now! 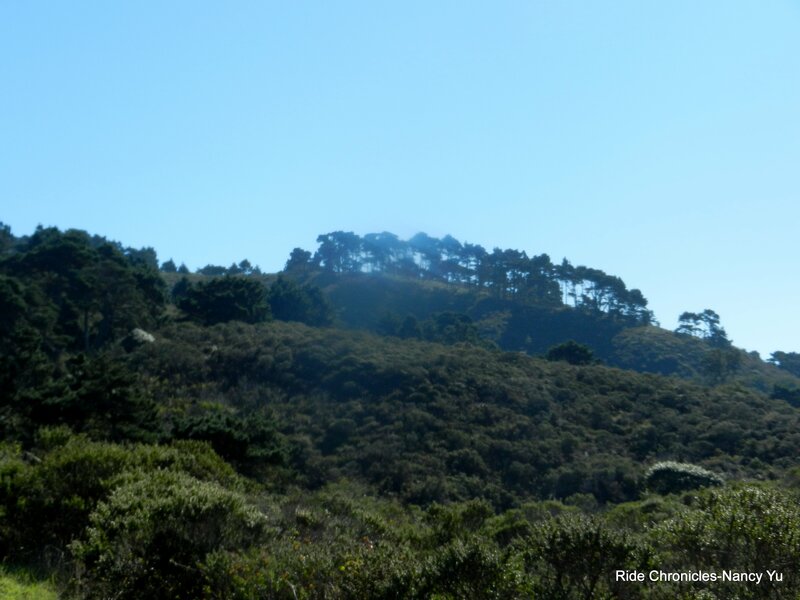 We chit chat a bit with a couple of MTB bikers and reverse the route back to SFDB. 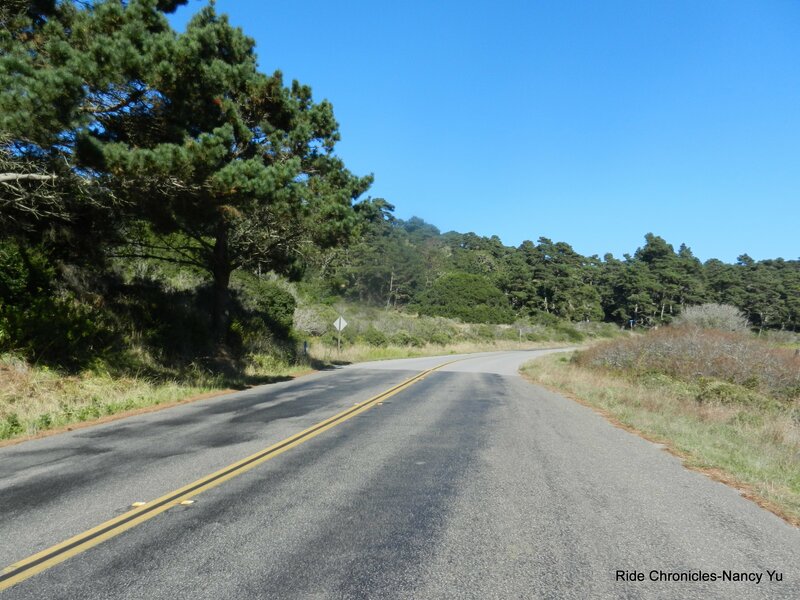 We make our way back through Inverness and take Hwy 1 into Point Reyes Station for a light lunch/snack. Water and restrooms are available at Toby’s Community Playground located behind the Palace Market on Mesa Rd. 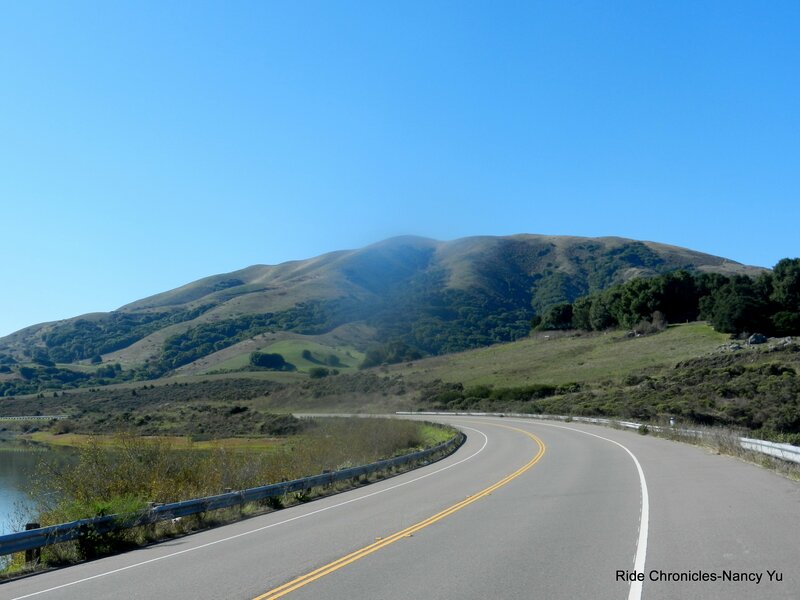 We take Pt Reyes-Petaluma Rd for the climb up the Spillway to Nicasio Valley Rd. 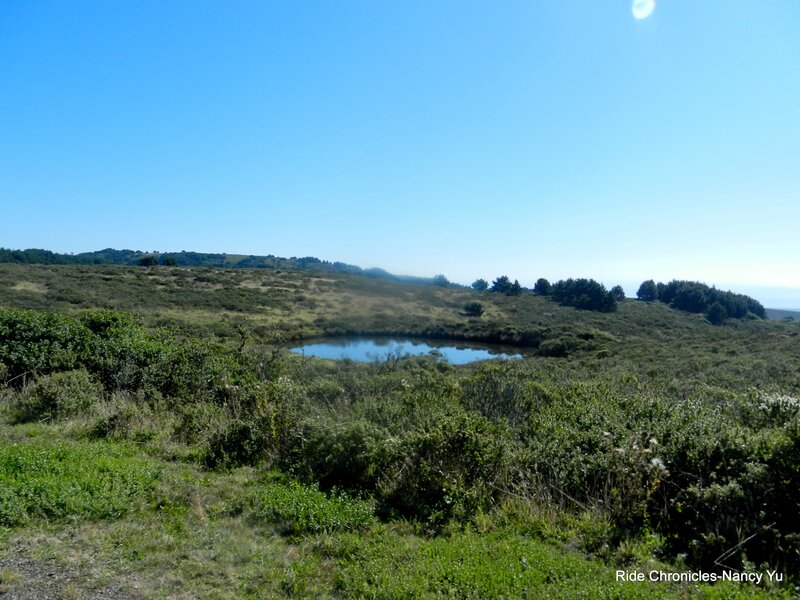 It’s a fast and flat run all the way to Nicasio. 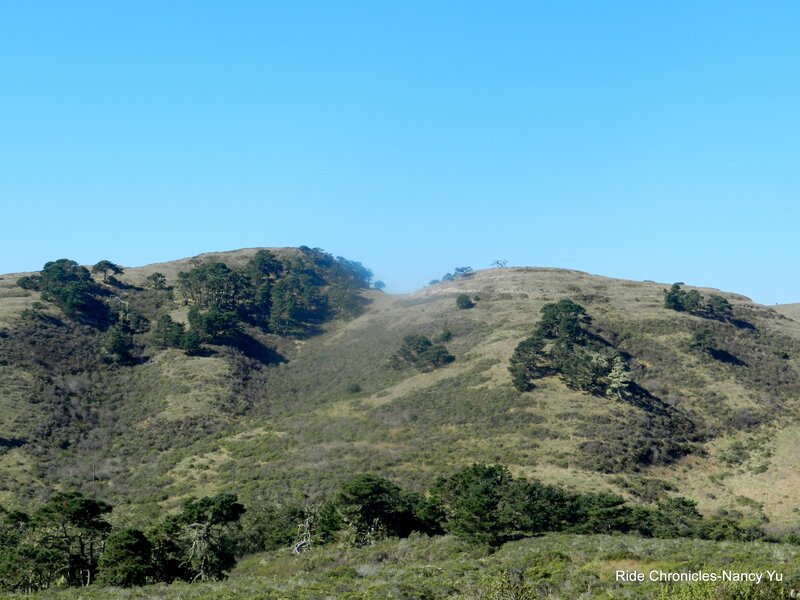 We continue on Lucas Valley for the gentle climb up to Big Rock. The descent is fast with a few tight left turns; Michael paces me on the flats all the way back to Miller Creek-what a blast! What a fantastic way to spend another perfect autumn day! Thanks Nance for the great detailed route. Grace, Janet H. and I are going to do it tomorrow.